By Julia A. Gaebler, Ph.D. In the last decade, the healthcare industry has witnessed significant changes, some of which present important challenges to how pharmaceutical companies develop drugs. One such challenge is the shift in influence from the physician to the payer in the adoption of new interventions. This article discusses threats to the traditional model of drug development posed by the increasing influence of payers and considers ways for industry to embrace “value-focused development” to simultaneously adapt to the evolving market and de-risk drug development. In the early 2000s, as had been the case for decades before, specialists and general practitioners still wielded the most influence on new product adoption; payers and other stakeholders had only minor or moderate influence. But over the course of the next few years, payers gained the upper hand. 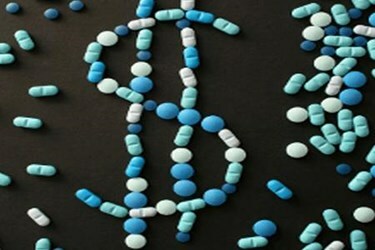 In 2003, when the Medicare Prescription Drug, Improvement, and Modernization Act (MMA) was signed into law, it added a prescription drug benefit to Medicare health benefits and ushered in widespread proactive use by payers of pharmacy utilization measures (PUMs) to manage patient access to new drugs. Around the same time, health technology assessment (HTA) agencies, which formalized post-approval pricing and reimbursement processes in many countries, began to proliferate. And in 2010, in the aftermath of the financial crises, European governments implemented a wave of draconian cost-containment measures that focused on drug prices. By 2011, as payers were under increasing pressure to contain rising healthcare costs in both the U.S. and Europe, they began to exert noticeably more influence on drug adoption policies. This trend has only gained momentum. Payers and budget holders around the globe focus on a different set of questions than clinicians and regulators. Unlike the latter two, who are motivated by drug safety and efficacy embedded in the classic target product profile, payers instead seek evidence about a product’s total value proposition. They demand empiric evidence about whether the product is worth the price compared with the standard of care (i.e., value), how it performs in the target population in the real world (i.e., effectiveness), and how they can afford to pay for the product (i.e., affordability). These questions and their consequent actions have become central to drug commercialization strategy, and they signal the need for a reassessment of the traditional drug development model. Traditional “core” drug development teams typically included representatives from clinical development, regulatory, project management, clinical pharmacology, medical affairs, manufacturing, statistics, and a few others, all focused on the solitary goal of achieving regulatory approval. In late Phase 2, health economics and outcomes research (HEOR) teams began to engage alongside clinical development teams to collect quality of life, medical resource utilization, and other economic data, mainly to differentiate the product after launch. Because of its sequential and siloed structure, this model of drug development was not well suited to capture market- and payer-facing data in the clinical development plan (CDP). Drug development today should look quite different. Early-adopter companies, or ones that have experienced first-hand the devastating commercial impact of ignoring payer needs until too late, are embracing the vision of a more integrated approach to drug development. For example, some companies and development organizations have shifted from a traditionally narrow focus of delivering the clinical evidence required for regulatory approval to one with a broader focus that also includes value and “reimbursable” labels. Tactically, this has required cross-functional clinical trial design and product development strategy teams that include payer-facing experts and experience at all phases of development. Drug development is no longer the sole domain of the clinical product lead — clinical, commercial, medical affairs, pricing, market access, and patient relations departments should all be actively engaged in deliberating inclusion/exclusion criteria, study comparators, study endpoints, trial size, scope, and duration in the context of market realities. As the investigational asset moves forward, some large biopharma companies now mandate joint, formal, written go/no go decisions by clinical, marketing, and market access heads. In this new model of drug development, regulatory-, market- and payer-focused experts are jointly held accountable for understanding the marketplace, developing a drug that better meets the needs of all key stakeholders, and ultimately increasing its commercial opportunity. In essence, leaders need to recognize that the economic value of a product must be on at least equal footing with its clinical and safety value, and that all three must be evaluated and tested starting from the earliest phases of development. Value-focused drug development assumes a healthcare systems view of the market, recognizes that economic value is on at least equal footing with clinical value, and evaluates and tests both in the earliest phases of development. Payer opinion leaders (POLs) are now being asked to review, assess, and communicate the potential comparative effectiveness of a new product even prior to Phase 2. Some company best practices require input from payers in target markets before the pivotal trial design is “locked.” As a result of all of these changes, the drug development process is much more integrated. Biopharmaceutical companies are challenged daily to address a changing and dynamic healthcare landscape; drug development is no exception. This article illustrates how some companies are embracing change and institutionalizing new models of drug development that are more inclusive, informed, and responsive to payer needs and those of a broader range of stakeholders. The result should be the development and commercialization of products that provide more value to all interested parties and realize greater return on investment for the sponsor. Acknowledgement: The author wishes to acknowledge Susan Strobel, Ph.D., for her assistance in the preparation of this article. Julia A. Gaebler, Ph.D., is VP at Health Advances. She has accumulated over 20 years of experience in global market access, health technology assessment, health policy, health economics and outcomes Research (HEOR), and health services research in biopharma, diagnostics, medtech, and academic policy research. A mathematical modeler by training, she leads Health Advances’ market access, health economics, and value research capabilities across biopharma, medtech, diagnostics, and HIT clients. Prior to joining Health Advances, Gaebler was senior director, global medical outcomes strategy at Biogen Idec, where she provided strategic leadership and technical health outcomes expertise to ensure that medical product strategies and tactics anticipated the evolving demands of the global payer landscape. She has also held related positions at Amylin Pharmaceuticals and Hoffmann-La Roche, and was a health policy researcher at RAND. Gaebler received a Ph.D. in health policy and decision sciences from Harvard University, an M.A. in international affairs and economics from Johns Hopkins University, and a B.A. from the University of Pennsylvania. You can reach her at jgaebler@healthadvances.com or 781-647-3435.